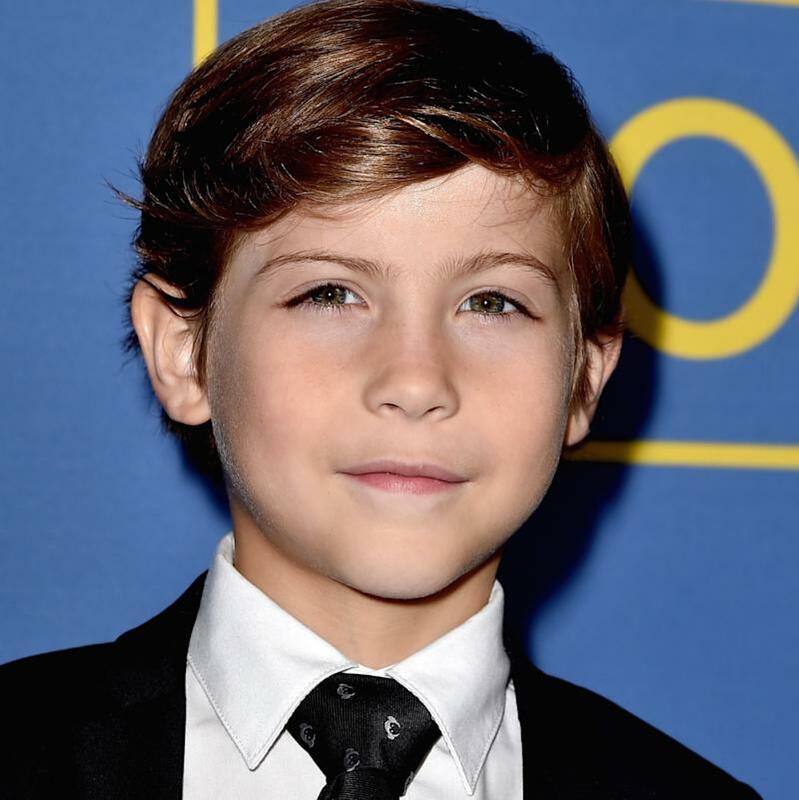 In many ways, Jacob Tremblay is exceptional, earning early Oscar buzz for his performance as boy born in captivity in the acclaimed indie drama Room, which expands in select theaters this weekend. In other ways, he’s just like any other 9-year-old — buzzing over the latest Star Wars trailer and eager to discuss the time he flipped his entire body performing a stunt in the acclaimed film, directed by Lenny Abrahamson and starring Brie Larson as his kidnapped mother. I understand you’re a Star Wars fan. Did you watch the new trailer? I did and it looked so cool! Did you watch it once or a bunch of times? About how many times you think? I don’t know — maybe 105? Ha! Awesome. What was your favorite part? My favorite part of the Star Wars trailer was when Finn goes to fight off Kylo Renn with the Force. PSSHWAAH [lightsaber sound effect]. What was your favorite part about making Room? I like eating lots of ice cream. One of the best is when I got to eat ice cream — I already said that. One of the best was when I got to have a nice and greasy hamburger there. You mentioned your own stunts. You roll around a truck bed during a very pivotal part in the film — that was all you? Yeah, that was me. Also, my stunt double did [some of] that, too. Here’s a funny story: One time when we were doing [a stunt] — this is true, Mom! [directed at his mother, who is apparently nearby] — I actually did a back flip. When [the director] said, “Jump!” [I was supposed to] just go, jump. So I did that and I actually did a back flip. I flinged my body and it went around and around and around, and then it landed on the [landing] pad. What did you think of your character, Jack, when you first learned about the role? I liked that Jack jumped around on his bed. And I actually do that often. Something else I like about Jack is his imagination. He has to have lots of imagination for all that jumping around. He’s pretty cool. Was there ever a tough moment when you were making the movie? This is a tough moment: when I had to yell at Brie [Larson] when she made a cake — because that was one of the first things that we ever did in the movie. So, I was actually pretty shy to yell at her. Also, the cake was very tasty. At the Toronto International Film Festival when Room won the big People’s Choice Award, what was that like? Since Room was filmed in Toronto, most of the people [involved in the film] were from Toronto. Also, I’m Canadian myself, too — so it made me happy. Everyone was cheering loud and screaming. We did Q&As and stuff like that, so it was pretty fun! You are getting a lot of positive attention for your performance. What do you think about that? I’m really proud of myself because this was only my third [theatrical] movie and the first time I cried in a movie. My mom and my dad helped me a lot to cry so they did a good job, too. After I did Smurfs 2 I liked it. So I decided to keep on doing it! You are working on The Book of Henry now. It’s directed by Colin Treverrow, who made Jurassic World. Have you seen Jurassic World? Yeah, I’ve seen Jurassic World tons of times. Did you know he’s gonna do [one of] the next Star Wars [movies]? Yes, I did! Are you excited about that? I tell him every day I could be, like, a baby Wookiee or an Ewok or a youngling in the background. What’s your favorite part of Jurassic World? My favorite part is when the huge mosasaur jumps out of the water and also gets the pterodactyl, which was holding the girl, too. What are some of your other favorite movies? Indiana Jones and The Goonies and Arachnophobia and Poltergeist. I like all those old classic movies that were made when my mom was little.